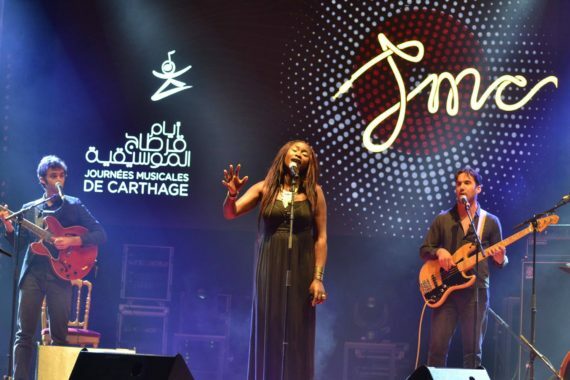 A refreshing duet by Tunisian guitarist Rami Zoghlemi and singer Sabrine Jenhani swayed a capacity crowd at the Palais Des Congrès in Tunis through melodies that appeared to be in similar ranges yet sustaining in momentum. 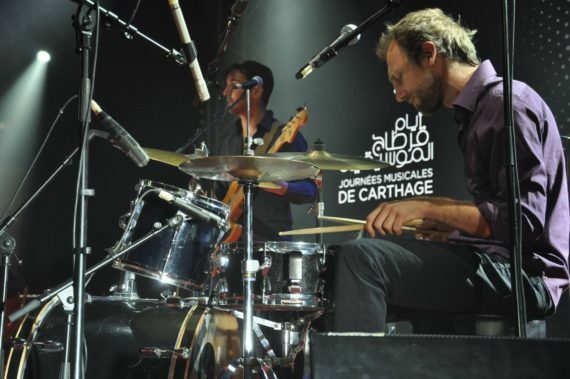 Performing on the 5th day of Carthage Music Festival, Jenhani sang with amazing depth and sensibility through profound lyrics and restrained compositions as wild guitar lines from Zoghlemi traversed the auditorium. 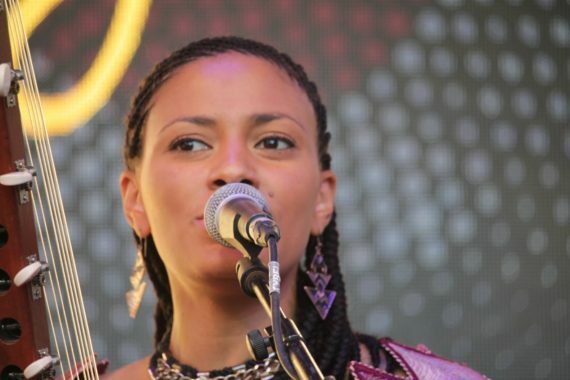 Vocalist Emma Lamadji from the Central African Republican band Free River, who is noted for a formidable voice, appeared to sing from the bottom of her heart and soul as cheers and applause flowed from the audience, who exhibited intense excitement. 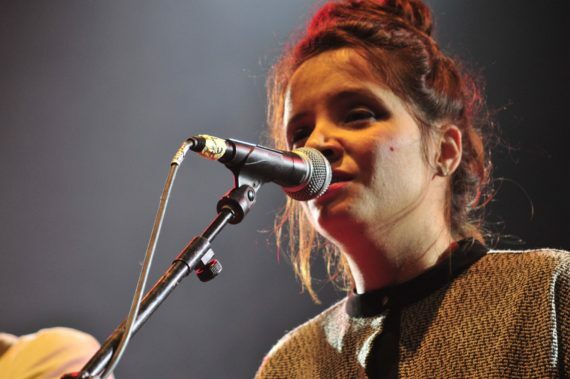 She drew more appreciation as she ignored technical challenges and continued to sing while light beams ricocheted on the stage and auditorium as jazzy rhythms flowed from the obviously experienced instrumentalists. 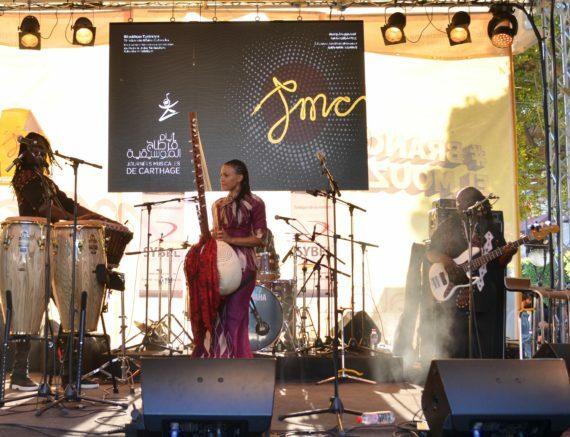 At the Avenue Bourgiba, which is located in the center of Tunis, Gambian / British kora sensation Sona Jobarteh exhibited her ability to flow with all kinds of styles as she established immediate communication with the audience. 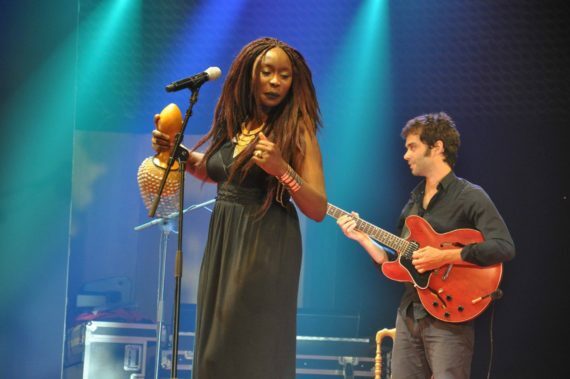 The first female kora player to come out of a renowned griot family, she wooed the crowd with a charismatic voice, memorable tunes and robust tempos as a lot of varieties in terms of tonalities, emotions and themes echoed musically and lyrically. 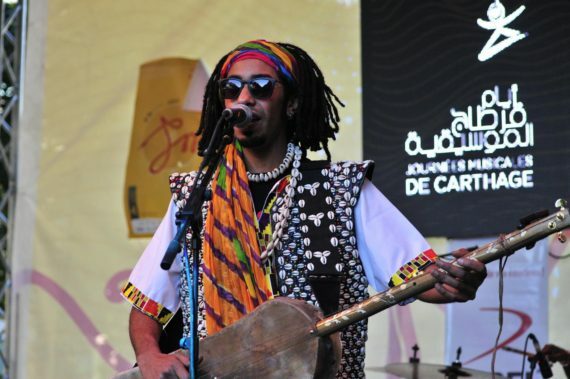 Comprising a group of zealous musicians, Tunisian band Ghoula, which was formed by composer Wael Jegham, equally enchanted the rather youthful audience with uniform instrumentation alongside dreamy sounds. 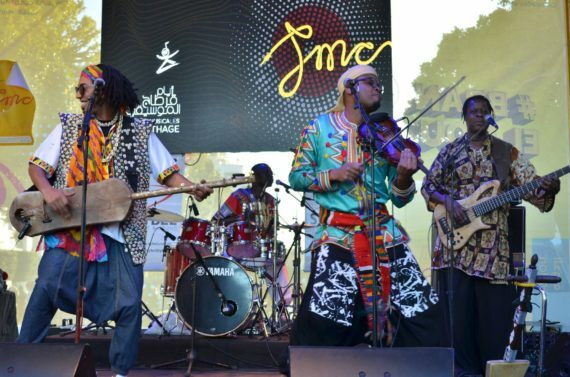 With members from Morocco, Senegal, Côte d’Ivoire and Mozambique, Jokko Band turned the evening into a memorable one with diverse instruments from several cultures, which generated deep interest from the crowd, who were obviously transported to various countries and cultures in sub Saharan Africa. 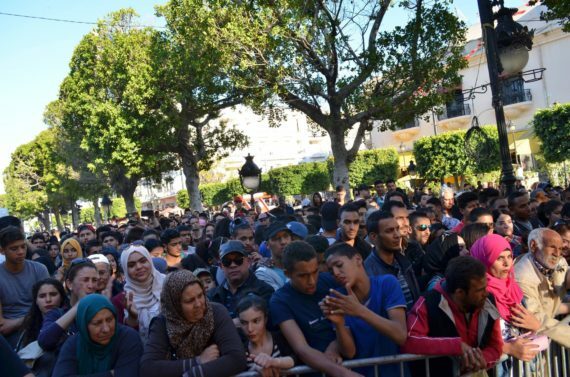 Sybel, Tunis Air, Ben Jemåa Motors, Travel Todo, Institut Français, Access World, Samaris Events, Bitaka Group, Teskerti, RFI, TUNIS Visions, RFI, Media Net, Cult Art, Africable, Femmes, Sonlines, Silo and many others are supporting the festival, which ends today Saturday April 15.